Cupcakes 'n Daisies: What I bought . . . .
What I bought . . . .
Hey, thanks for all the great notes, I'm happy to be back and missed you too! So in addition to all the lovely quilts to drool over, there are also a few vendors to stroll through at the AQS Quilt Show in Paducah, Ky. The AQS's definition of a few is around 210 vendors, add in the Rotary Antique Quilt Show, Hancock's of Paducah, and the Eleanor Burns Tent, and that makes for a whole lot of shopping going on. All year long I collect change in a snowman cookie jar, this year when I cashed in my change I had accumulated $175, even! A nice neat sum. I spent it all. My first stop was Hancock's of Paducah. I had my Snowman Gatherings by Primitive Gatherings for Moda fat quarter bundle and cute pattern selected but I needed a few more of the background pieces. I don't know if you've noticed, but the bundle is heavy on the darks, light on the lights, but that was easy to remedy. I picked up some more background fabric and my backing. 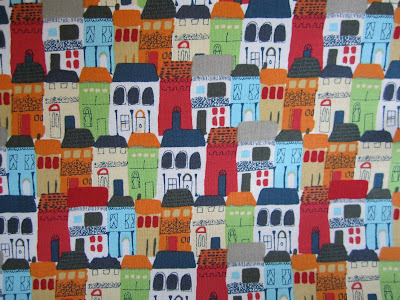 I also picked up one yard of this, it's by Dear Stella. I picked up 2 yards of this, it's also by Dear Stella. I must not hang around the right blogs, I don't read or see folks sewing with Dear Stella. She's new to me, but I love her. I thought this would be a cute border for the next house quilt I piece, not that I have a pattern or project in mind, but I love houses and know there will be a house project in my future. 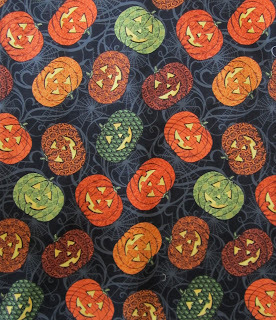 In the last two weeks two different quilters have asked me about my backing fabric for Hallowe'en 1904. I found it last week at Hancock's. 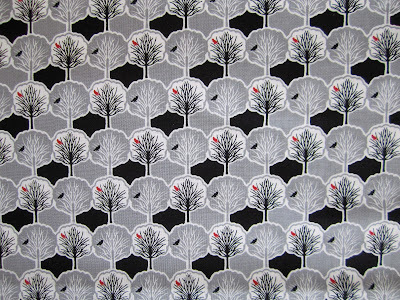 This is Hallographix II by Jason Yenter for In The Beginning fabrics. I had never heard of Hallographix I let alone II, or Jason Yenter or In The Beginning fabrics, but I think this print has a primitive feel to it that goes nicely with Hallowe'en 1904. Plus it was on sale for $5 per yard! and here are the lights, folded in between the darks. These fat quarters will be separated and stored in my happy fabric bin. 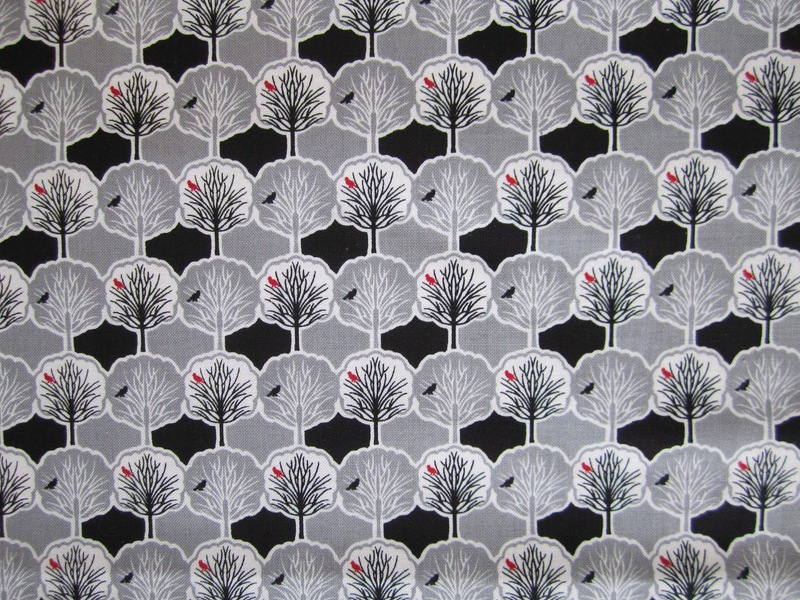 I blogged about a beautiful Rob Peter to Pay Paul project using Chateau Rouge here. Siena used a Go Cutter die on that quilt. I loved the look of Siena's quilt so I picked up the die at the Go Cutter booth. I don't talk about my Go Cutter much because I feel like I'm one of the few bloggers who paid for a cutter, everyone else I know got theirs for free from AccuQuilt. So I like to leave the promoting to the folks who are getting paid to promote that product. But if I'm working on a project that uses strips, (and what project doesn't) I'm using my Go Cutter, I'm just not mentioning it. It really is a great product. It's easy to use, does accurate cutting and is fast. If you've been waffling on getting one, don't wait any longer, you'll love it. Anyway, I had a 25% off coupon from Go Cutter and I used it on this die. Look for a Rob Peter to Pay Paul project in my future. I may or may not mention that I used the Go Cutter Die on that project, depends on my mood that day! And finally, I bought a new Olfa 12 inch rotating cutting mat. I buy one every year. I know these mats are supposed to be self healing, but I use this mat so often I don't give it time to heal, so every year I get a new one at the Olfa Booth at the show. The reason I always get it at the Olfa Booth is because they run a special, the mat is only $29. It usually runs around $40 at shops. I appreciate the savings, especially since I need a new mat every year, but it makes me wonder what the vendors think of Olfa setting up a booth and undercutting the prices. You sure don't see Moda setting up a booth and selling fabric for $5 a yard! Oh well I'll take it if they are offering it. The new mat is on the left, the old mat is on the right. The mat is on a turntable that spins, so you move the mat not the block when you're cutting. I love it and cut all my quilt pieces and parts on this mat. I thought about passing this mat along to someone who's never tried a rotating mat, but I don't think it's worth the postage it would cost to send it, this one is going in the trash. Most of the vendors have kits and I understand why. Trying to cut yardage with the folks that crowd those booths is tough and a kit is an easy sell, everything you need to make a beautiful quilt is just waiting for you to pick it up. There are some fat quarters to be had and lots of patterns, but the majority of the booths are selling kits. Right now I have around 6 kits waiting to be made, that's enough for me, so while I did see some tempting projects in several booths, I passed them up. I tend to swap out most of the fabric in a kit anyway. You can only take pictures in booths when you buy the kit, I understand that too, I hope you're able to find some other blogs where they took pictures of some of the wonderful quilts on display in the vendor booths, it's like attending a quilt show in a quilt show. 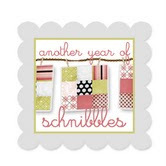 Tomorrow I'll be revealing my Month Five Blogger Girl Blocks. I made the blocks before my trip last week, they are my favorites so far, I hope you can stop back by. I love that tree fabric, wow! 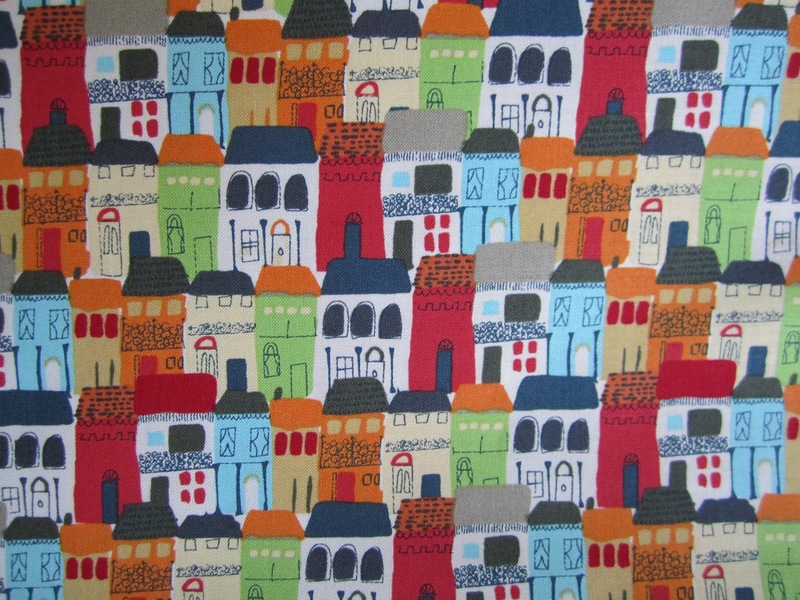 house fabric is adorable too, I happen to love house quilts too, I have a few I want to make , its on that ever growing list. great dots fabric those will be fun to play with ! 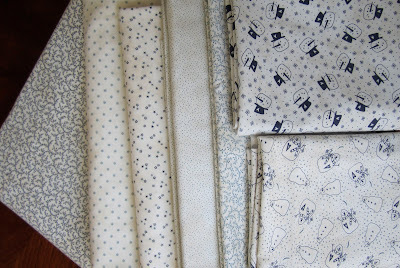 I love your fabrics and can see where they will make cute borders or sashing around quilts. 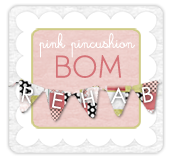 I bet you had fabric overload and sounds like you made a good choice in passing up kits. I just love them but have to say, way to many for me as I am always looking for new fabrics to do quilts in. The kits do make it easier to do but not always in the colors we want. I love seeing your loot and hearing about your trip. Like Heather, I'm also interested in ideas for managing the trip to Paducah. Any helpful hints? I feel the same way about talking about my "cutter." ;) Love my rotating mat. It sits on the sewing cabinet wing to my left, and I constantly use it while sewing to trim up the pieces and blocks. Great fabric purchases. You did good, Thelma! Thelma, Please don't put your old Olfa 12" rotating mat in the trash. I'll pay for the shipping it to me if you did not already trashed the mat. OK, now I am going back to finish reading your blog. Hey Jane, that mat was worthless, I appreciate your interest but as soon as I got home I threw away the old one and got out the new one. I'll try to go easy on it this year and keep you in mind next near! Send me a reminder when I blog about heading down to Paducah next year, OK? Thelma, I love the fabrics you purchased. I would love to get some of Robert Kaufman's dots. Do you remember the name of the vendor you purchased the dots collection from? I can't wait to see how you use the dots. The bundle does not have the vendor's name on it, but the selvage says the fabric name is Dot to Dot! I hope you can track some down. I just bought the rotating mat a few months ago. Got it half price on sale. Best. Thing.ever. Oh, Thelma! I see you have started buying fabric not for a specific project but because it was so wonderful you couldn't pass it up. You have been bitten! My sewing room is full of such wonderful pieces, more than I can use in a lifetime, but somehow that doesn't stop me from accumulating more. I have a rotating mat as well, and I use mine all the time - also having to replace it annually because it's literally worn out....love that mat! Looks like you made some great purchases :-) Sometimes I'm so overwhelmed with fun stuff at a quilt show I don't even know where to start! I love my rotating cutting mat! I usually buy mine at Michaels with a coupon. Thanks for the Go! Cutter info. I never managed to win one and I've always wondered if I should buy one now. Cutting isn't my favorite part of quilting at all so maybe it would be a good investment. oh my gosh - i love those dots!!! Hallographix has been out for three years ... i know cuz i just checked my blog and found only ONE mention of it from July 2010 - and i wrote that i was buying some, come hell or high water ... which i DID ... and when Jason Yenter came out with Hallographix II i told myself NO! cuz i hadn't done anything with Hallographix I ... and then i dug it out and put together a flimsy and the wreath - which just came back from Liz the Longarm Quilter - but don't have bindings on them, so they STILL aren't finished and i STILL can't buy HGII ... sigh ... the pumpkins will make a way cool back for your 1904! Love all your purchases! 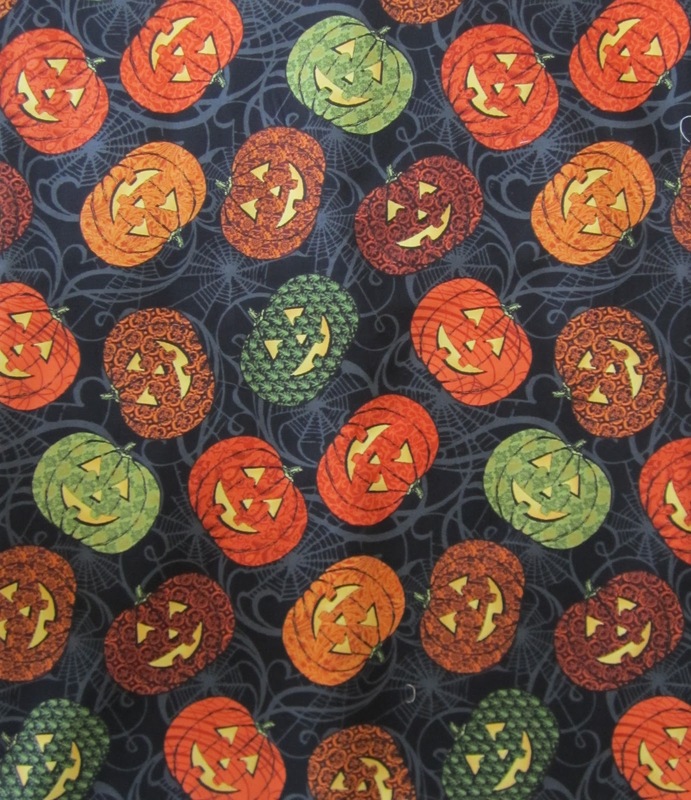 Those fat quarters are beautiful and the Halloween fabric will be perfect for your quilt. I use my rotating mat more than any other too! I need to purchase a new one. I buy mine at Michaels or HL and use a 40% off coupon. My old one I use for paper crafts as I do my old rotary cutters. Now I have to view your last post! Great purchases, Thelma. Love the pumpkin fabric for backing. It's going to look fabulous. A new rotating mat is a terrific annual treat. Looks like you had a great time in Paducah. I'll have to keep the Olfa special in mind if I ever make it to a national Quilt show again. And BTW, I tried contacting AccuQuilt to ask questions about using their machine since my wrist surgery. I have never heard back from them :-( I've never tried using one, but wondered if the handle would be hard for me to turn. I can do some rotary cutting, but I have to take it easy and not over do. Someone suggested the Sizzle machine, but being that both of these machines are pricey, I was wanting more info. What wonderful purchases you made. I would have to have some sort of restraints put on me to not buy more. the selections would be overwhelming to me. That's quite a haul! I love that Dear Stella fabric. That is too darn cute! Thanks for sharing your purchases! I just made my Schnibbles out of that Va Bene line from Dear Stella (you picked up one of her pieces from that collection); it's over on Sherri's blog if you want to see it. Love that Italian collection! I also smiled--I have a 100 quilts and a 200 quilts tab on my blog too. It's soooo satisfying, isn't it? Congratulations on getting to 94! Love seeing all of your treasures! P.S. I saw your Red/White Tribute quilt at Road. It is GLORIOUS! I just stood there and stared and admired it--so beautiful in person. I did write up Road (and your quilt) on my blog in January, if you want to search for it. I have enjoyed the show through your eyes...thanks for sharing with us! What I saw . . .
A Weekend's Work . . .
Let's Talk Stems . . .